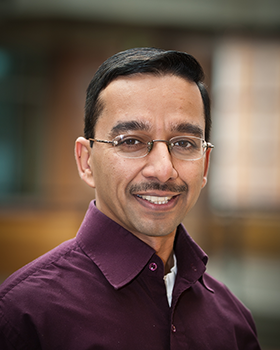 UW CSE professor Rajesh Rao, an expert in brain-computer interfaces, has been recognized with a 2016 John Simon Guggenheim Memorial Foundation Fellowship. Rao, who leads the National Science Foundation’s Center for Sensorimotor Neural Engineering, was chosen based on his past achievements and exceptional potential to make future contributions in the field of neuroscience. He is the third UW CSE faculty member to receive this prestigious award. The Guggenheim Fellowship is designed for mid-career scientists, scholars and artists who demonstrate the capacity to make a significant impact in their respective fields. The fellowship will support Rao’s work on a project titled “The Computational Brain: Understanding and Interfacing with Neuronal Networks.” He and UW colleagues Katharyne Mitchell (geography) and Helen O’Toole (art) were among 178 winners selected from a pool of roughly 3,000 applicants across the U.S.A. and Canada. Read the full press release here and Rao’s fellowship profile here. Learn more about all three UW winners here.